Welcome to my blog! I am so happy that you took the time to read my recipes and learn a little about me. 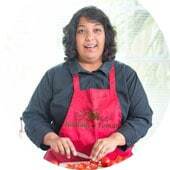 My name is Rini and I started Healing Tomato in November 2013. It is no secret that I started this blog at a very difficult time in my life. I needed an outlet for my grief and this food blog was the perfect creative place for me. The support from my visitors and fellow food bloggers has been very essential. Over the last 2 years, they have helped me heal and grow this blog tremendously. They say positive things about my recipes and photos over the years and it has helped boost my confidence. For that, I will be eternally grateful. Today, this blog has become a way for me to give back to the cyber community for all the wonderful support I have received from everyone. 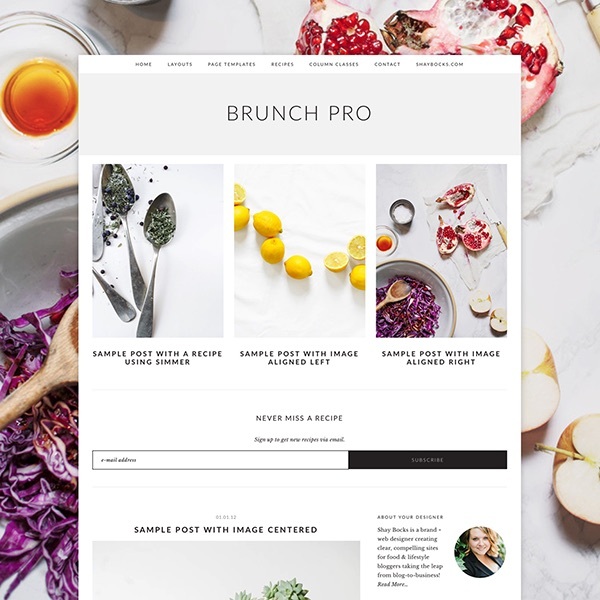 So, why choose a food blog as a creative outlet? That is a long story, so, pull up a chair with a blackberry martini in hand as you read the story. For years, I worked in the tech industry. Most of my career was focused on being a freelance system administrator for various companies. Basically, I was the tech gal you would call to make sure all your office computer network runs smoothly. I loved it with a passion, especially because I was living and working in New York City!. Food and cooking is never too far from my mind. I have found cooking to be very relaxing. Often, I find that the whole world doesn’t exist when I am cooking. It is just me and my spatula. Yes, I have always used cooking as an anger management tool, creative outlet, Ego booster, Self-esteem builder and a way to deal with anxiety. Or just because….. Sometimes, I feel like I may have missed my calling as a chef. I spend hours watching Jamie Oliver or Julia Child’s shows. Whenever I have had cable, the channel was always tuned to Food Network or Cooking Channel. It never mattered that most of the shows were on a loop, I could watch them again and again. Being Indian, I grew up in a vegetarian household and where food was always a huge affair. We always cooked fresh meals because we didn’t know any other way. Our dinners were always huge meals with two types of curries, vegetables, rice and freshly made Rotis. Sunday night was when experimental recipes made it to the dinner table. That was when we got to sample Italy, American, Chinese, and cuisines from other countries. When I was sent off to college, everything changed. I found myself in Cleveland, OH where there were very few vegetarian restaurants and I had to cook for myself. That is where my true love affair with cooking began. I knew how to cook the traditional Indian dishes, but, I had no idea how to make pasta dishes or veggie burgers. Eventually, I moved to Florida and left for NYC after graduation (with a brief stop over in Boston). In all three places, I was always finding my favorite restaurants and recipes. I continued Sunday night tradition by trying new restaurants, recipes and cuisines. When I moved to NYC, my taste buds had a party…. New York was not only the center of the tech industry, it was also the land of some of the finest restaurants, cafes and food trucks!!! During my time in NYC, I went to countless hole-in-the-wall restaurants and I went to just as many 5 star restaurants. For a foodie like me, NYC had an entire city worth of food to offer me and it welcomed me with open arms. If you are a foodie, you know the lure of New York City’s yums! It is a sweet and savory heaven, especially if you are a vegetarian or vegan. There are so many food varieties and fusion cuisine available around every corner. From Falafals to Pasta and everything in between, NYC became my dining room! I cannot tell you how many restaurant meals I took home and reverse-engineered them. If you were a chef in NYC, chances are I may have come up to you at one point and bugged you about the contents of your recipes. I hope you took that as a compliment because I am always in awe of chefs. The best restaurants I went to always had one thing in common. The chef always had an unwavering focus and passion for the dishes they were creating. It didn’t matter who the customer was, they always created the greatest works of art. I was always drawn to that energy and passion. Someday, I will achieve their level of perfection! I have an affinity and a soft spot for tomatoes. Ever since I remember, I would eat raw tomatoes wherever I found them. Whether it was heirloom tomatoes or cherry tomatoes, I would devour them all. They are also very versatile to cook with and provide a delicious base to any recipe because of its rich texture and flavor. There are as many tomato varieties so it never gets boring. If all else fails, I will have cherry tomatoes as a snack. Nothing hits the spot like a sweet, ripe and juicy cherry tomato! I am a tomato enthusiast, a tomato aficionado and a tomato connoisseur. My mission is to convert everyone into tomato enthusiasts, aficionados and connoisseurs. My favorite tomato is the Campari Tomato. It is sweet and tangy without being overwhelming!